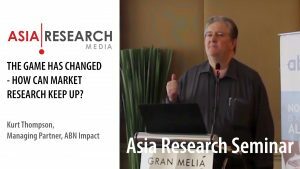 Even in the good times, we often hear clients saying that they have “budget pressure” or “budgets are being cut”, and many agencies see the market for mainstream research shrinking. 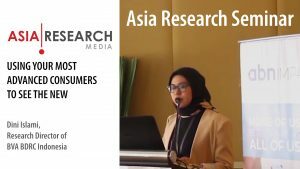 To gain more insight into how clients manage and plan their research budgets, and how they deal with budget pressure, Asia Research interviewed several major buyers of research in Singapore about these topics as part of our Annual Buyer Survey. Budgets can be structured globally, regionally, and at a country level. The Singapore-based insight manager may be involved in all of these research studies, either commissioning their own local or regional studies, or helping to implement global studies commissioned outside of the region. 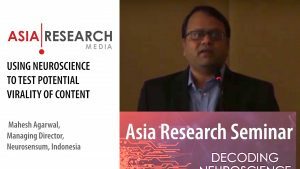 Media – It is still common practice for research on communications to be part of the overall engagement between the marketing department and the advertising agency, e.g. where it is the advertising agency rather than the client that commissions the research firm in creative testing or development, or for pre- and post-advertising effectiveness measurement. Product design – A department might engage a design agency to create a new product or store design. The design agency in turn engages a research firm to provide consumer insights to the product development or architectural concept evaluation. Marketing departments may undertake DIY research, e.g. ‘quick polls’ within their customer base, or engage research firms directly for specific projects. Local offices may engage research agencies directly in their own local market, sometimes without the central research department knowing about it. Business-to-business research may occur that does not go through the consumer marketing department. Although not mentioned in this client research, senior management can also undertake research, sometimes through engagement of a management consultant where research is part of the overall engagement. The management consultant can then hire a research firm to deliver this, but increasingly they are doing the research themselves. Annual planning, including the setting of the research budget, can involve historical reference to past budgets, perhaps with a top-up for inflation. There are usually several core research programmes to be planned for and, as stated earlier, programmes might have their own separate budgets, as in the case of trackers and insight communities. Some of the ad hoc research expenditure can be fairly predictable – for example, a certain budget will be set aside for a number of product and communications tests that would be expected throughout a year. As part of the planning process, clients ‘examine their strategic initiatives’ for a year or more in advance, and research budgets will be set aside for this accordingly. This could be for expansion of specific geographic markets of strategic importance, or for particular segments of the market that the client wants to develop. Although budgets are usually set in advance, there is some evidence of ‘notional budgeting’ – e.g. a budget might be set, but expenditure will need to be justified on each request and not determined by historical expenditure. This can mean research budgets vary considerably from year to year, reflecting the principle of zero-budgeting accounting that some corporations like to use as a means of reducing costs. Conversely, if research requirements exceed the allocated budget for research, the insight manager can sometimes seek additional funds, usually from the broader marketing budget. Clients comment that they see a wide variation in pricing from their suppliers, which can be a concern to them, e.g. regarding whether the vendor has understood the brief properly. There is also a perception that agencies are not finding savings in the right way, for example by removing senior involvement in projects in order to reduce the notional senior management time charge to the client. In order to ‘help’ the agency price the project, it is fairly common practice for clients to state what their budget is for the project, hence allowing the agency to design an optimum solution around that budget. This then allows the client to compare the quality of the solution and delivery across agencies working within the same budget – in this instance, the budget is set, price no longer becomes the deciding factor, and the client can choose an agency based on quality. Clients might also have a buffer, i.e. they will have a bit more budget than what they have shared with the agency to ‘buy’ more value. Some clients can see a reduction in their budgets as part of a general cut in budgets across departments, e.g. if revenues in their region are falling. This has been observed with some media clients who are losing advertising revenue, for example. Feedback from the broader industry indicates that the multinational FMCG companies, being traditional ‘big buyers’ of research, are those most likely to be scaling back on their research budgets these days. As a result, they are adopting ‘quicker and cheaper’ surveys, primarily through online research or other low-cost innovations, and a lot of research is now conducted in-house. As data becomes more embedded in client organisations, some clients are enjoying higher market research budgets. That said, clients will always face some pressure on budgets, and clients have a wide range of options to reduce costs, ranging from negotiating with vendors, to ‘trimming’ studies, to using technology. Clients are also becoming more practical, such as by using mixed methodologies (e.g. hybrid online and offline research) that would be frowned on by more traditional researchers. Research budgets are still governed mainly by the overall budget set aside for marketing, and hence need to compete against expenditure for other marketing, e.g. advertising. Hence the arguments over the ROI in advertising vs research continue.